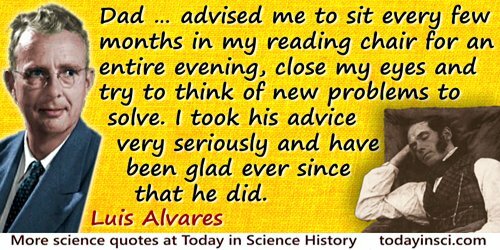 Dad [Walter C. Alvarez] … advised me to sit every few months in my reading chair for an entire evening, close my eyes and try to think of new problems to solve. I took his advice very seriously and have been glad ever since that he did. In Alvarez: Adventures of a Physicist (1987), 58.